The year 2018 marks 160 years of education on this site. The school has had many different names and purposes; however, we are very proud to still be delivering education to young people after 160 years. Mr Wayne Haworth was appointed the school principal in 2015, and in doing so, he turned the school around with a new focus. The focus shifted from a secondary school delivering traditional education, to an authentic student-led, student-centred education. A vertical curriculum was created with students being able to choose from over 100 electives. While this is still a fairly new change, it is a change that has had significant impact on student happiness and achievement, and overall enrolments. The school was rebranded in 2012 marking a new era for the school. Principal Allan Davis brought in a compulsory uniform and changed the direction from a school that catered mostly for students who had English as their second language, to a school for the local community. The name, Mount Alexander College, references the school’s long history in its current location, and its landmark position in the Flemington community. When Mr Davis left the school in 2014 to take a regional role in Geelong, Ms Jane Wignell, the Assistant Principal, took on the role as Acting Principal until her retirement when Mr Haworth was appointed. A single was produced Fable Records in the early 1970s by Bert Newton and the Debney Park High School Band, a Xmas-themed release which reportedly reached #11 on the Melbourne charts. DPHSB drummer Bill Kio went on to become a professional musician and is now a member of Melbourne band The Wish. 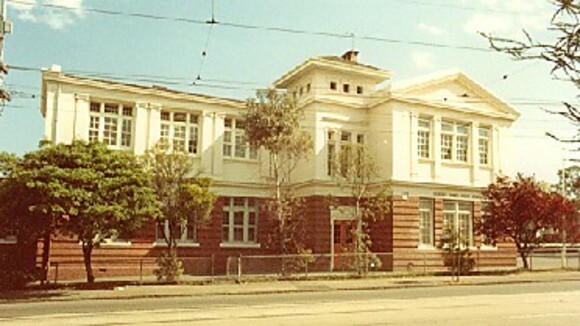 The upgrading and rebuilding of Flemington State School No. 250, saw the school reopened as Flemington School of Domestic Arts, which catered exclusively for girls in Forms 1-3 (Years 7-9). A navy tunic, white blouse, hat and gloves became the school’s uniform. 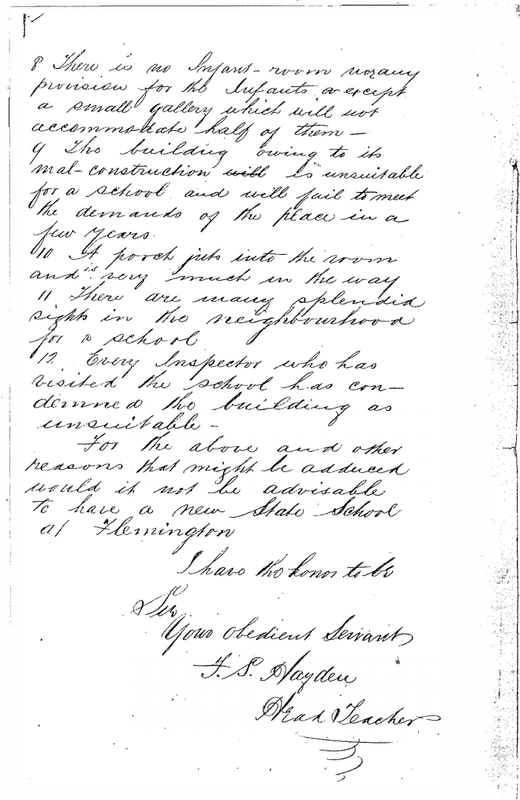 On 31 March 1885 the school was closed due to increased competition from newer neighbouring schools in Ascot Vale and Kensington. The school was reopened later the same year to relieve overcrowding at Kensington State School. 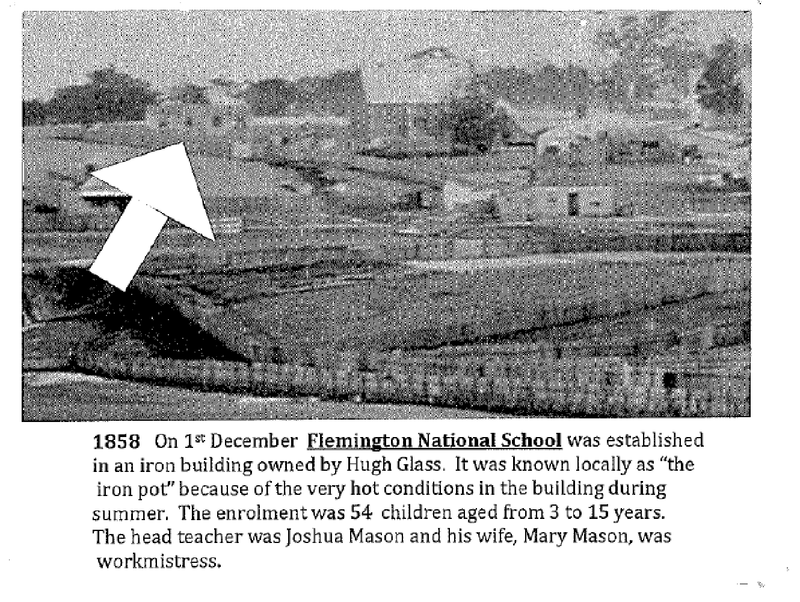 On 1 December, 1858, Flemington National School was established in an iron building owned by Hugh Glass. It was known locally as the ‘iron pot’ because of the very hot conditions in the building during summer. The enrolment was 54 children aged from 3 to 15 years. The head teacher was Joshua Mason and his wife, Mary Mason, was the workmistress. Joshua retired on 28 February 1861. 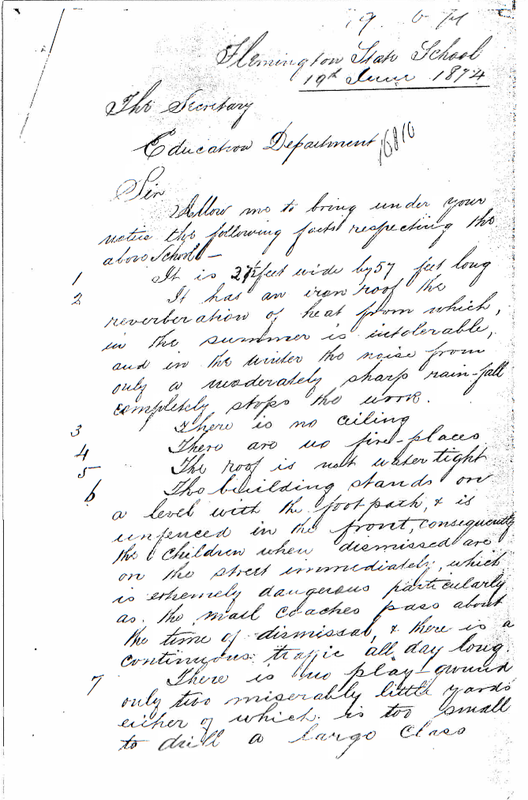 In 1861 when the enrolments were up to 65 children, the school was closed temporarily by the National Board of Education as the rent was considered too high. Hugh Glass offered the building rent free and the school reopened. 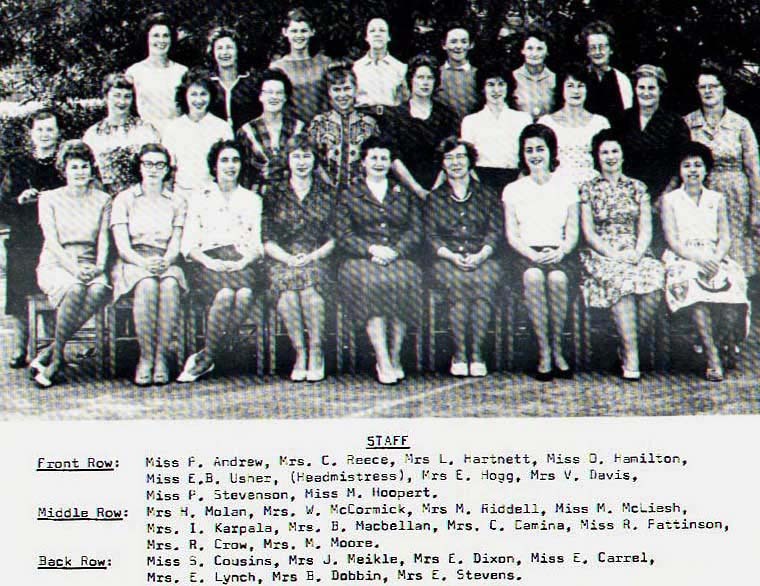 The new teachers were George R Macadam and Mary A Gladwin (Probationary Assistant Teacher).